Available sizes:2" & 3"; (50 & 80 mm). 10 bar (145 psi) - black body and cup. 6 bar (85 psi) - grey body and cup. Two configuraions are available:T and in line. Filters can be supplied with stainless steel weave wire screen or with disc element. Available screens: 80,120,155,200 mesh;(200,120,90,70 Micron). Available disc elements: 40,80,120,140 mesh;(425,200,120,105 Micron). Screen filtration area: 950 cm^2; (147 inch^2). Disc filtration area:1025 cm^2; (159 inch^2). Body & Cup:P.P.+GF(PN 6 - 85 psi). P.P+GF (PN 10 -145 psi). Screen: Stainless Steel weave wire screen. Adir professional filters are offered in screen and disc. 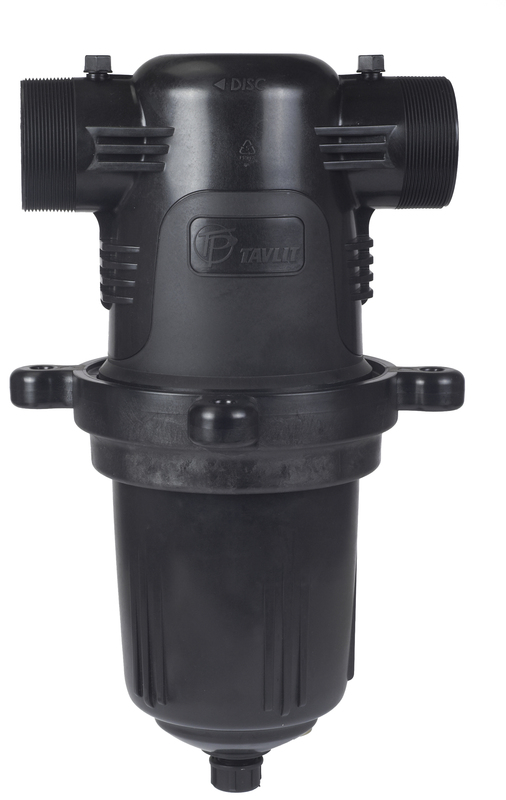 The high quality filters combine large filtering area with low head loss making them ideal for high flows and large quantities of dirt. Stainless Steel weave wire screen :80,120,155,200 mesh.